82 runners from 14 countries all around the world participated in the first Ultra Trail Torres del Paine, which features 42, 67 and 109 km distances. Yassine Diboun from the United States and Fabienne Naziarian from France dominated the 109km race distance, while Fernando Nazario from Brazil and Catalina Alegría from Chile won the 67 km race distance. Chilean Luís Cáceres and Argentinian María Clara Serino triumphed in the 42 km distance. Torres del Paine, September 26, 2014 – The first edition of a trail running event took place in the marvelous scenery of Torres del Paine National Park, with the help of CONAF and other national institutions that have made the organization of this event in such a wonderful location possible. 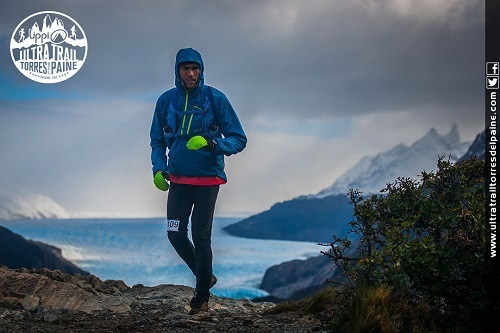 Ultra Trail Torres del Paine, organized by NIGSA Events & Expeditions, attracted 82 carefully selected runners from 14 countries all around the world to compete in the distances of 42, 67, and 109 km. Each of the finishers for the 67 and 109 km distances have earned 2 and 3 points respectively for the North Face® Ultra Trail du Mont Blanc® qualification. The primary objective of the race was to develop environmental awareness for all participants, and promote sustainable tourism in this fragile and virgin environment; for this reason we have worked carefully to manage logistics in the most environmentally respectful way possible. Enjoying and respecting the beauty of surrounding nature, runners have enjoyed a unique experience of trail running along paths among uncontaminated vegetation and wild fauna, with breathtaking landscapes over glaciers and high mountain peaks. American Yassine Diboun dominated the 109km distance, finishing with an incredible time of 14:41:05, and a remarkable gap of 2 hours and 40 minutes to the runner up. In the women’s race, Fabienne Naziarian from France was the winner. In the 67 km race, first place went to Fernando Nazario from Brazil, with a time of 7:35:18, while Catalina Alegría from Chile won for the women in 8:55:20. Max Keith, one of the event’s ambassadors, also finished 2nd in this distance. Chilean Luís Cáceres finished in 4:53:49, and Argentinian María Clara Serino triumphed for the women in a time of 5:10:38 in the 42 km distance. This entry was posted in News and tagged Ultra Trail Torres del Paine, Yassine Diboun. Bookmark the permalink.